Factors Affecting the Empowerment the Diabetic Individual and How We Can Empowerment Diabetes Patient? Diabetes is a progressive and chronic disease. This lifelong treatment requires that individuals with diabetes manage his or her own treatment and self-care. Empowerment generally includes efforts to develop self-confidence and autonomy and individual responsibility to support self-care. Patient empowerment involves helping patients to discover and improve their ability to take on responsibility. There is a limited amount of research investigating the factors influential on empowerment. Examining the factors influential on empowerment in diabetes is thought to shed light on the planning and management of diabetes education. We discuss how we can empowerment diabetes patient in this text. Diabetes is a progressive and chronic disease . However, the diabetic individual requires self-management. The main health problem faced by individuals with diabetes is the deterioration of glycemic control and related complications. For this reason, diabetes management aims to enable glycemic control and prevent complications. The suggested treatment for achieving glycemic control is a controlled diet, physical activity, blood glucose monitoring, oral hypoglycemic agents and insulin treatment, and diabetes self-management education . This lifelong treatment requires that individuals with diabetes manage his or her own treatment and self-care [2,3]. Thus, patient empowerment represents a significant target in patient education and care for the management of diabetes . Empowerment, as a philosophy of caring, emphasizes a cooperative approach to the development of self-management in patients . Empowerment generally includes efforts to develop self-confidence and autonomy and individual responsibility to support self-care . Patient empowerment involves helping patients to discover and improve their ability to take on responsibility . Empowerment is made up of two processes: “Process” and “Outcome” [6,8]. The purpose of these two processes is to develop the potential of diabetes individuals in the first phase and then to mature this potential [6,8]. In the process of empowerment, the purpose is to help diabetes individuals first understand the problem so that they can effectively manage diabetes and then determine their goals regarding the problem; in addition, the process of empowerment also aims at allowing diabetes individuals to express their thoughts about the problem, to put their goals into practice and to evaluate the eventual outcomes [6,8,9]. During this diabetes empowerment process; increasing personal knowledge and skill levels, developing problem-solving skills, gaining an awareness of healthy habits, gaining autonomy, determining goals, making decisions regarding these goals, as well as patient experience, open communication, social support are important [6,10,11]. There is a limited amount of research investigating the factors influential on empowerment. Purpose: Examining the factors influential on empowerment in diabetes is thought to shed light on the planning and management of diabetes education. Empowerment is a basic outcome of diabetes education . Empowerment and diabetes education empowerment approaches aim at maximizing diabetes individuals; selfcare knowledge, skills, self-awareness, feeling of personal autonomy with the help of diabetes education . Diabetes self-management education is a collaborative process through which people with or at risk for diabetes gain the knowledge and skills needed to modify their behavior and successfully selfmanage the disease and its related conditions . Diabetes self management support that assist the person with prediabetes or diabetes in implementing and sustaining the behaviors needed to manage his or her condition on an ongoing basis beyond or outside of formal self-management training. The type of support provided can be behavioral, educational, psychosocial, or clinical . In addition we discuss how we can empowerment diabetes patient. The factors influential on empowerment in diabetes studies revealed that the number of diabetes-related symptoms, age , gender , educational background, disease duration  and perceived family support , diabetes education, employment status  are among the factors influential on empowerment. Based on research articles, when age, diabetes disease duration, the number of diabetes related symtoms increases, empowerment decreases. In addition patients’s level educational and perceived family support increases, empowerment increases and taken diabetes education and working in any job reinforces the diabetic individual [14-18]. • Instructor should have a constant communication with its patients through telephone, mail etc. • Instructor should make individual with diabetes feels important and valuable (How do you feel today? How do your blood glucose values?) [2,6,7,12-18]. World Health Organization (WHO) (2017) World Health Day 2016: WHO calls for global action to halt rise in and improve care for people with diabetes. 2American Diabetes Association (2017) Standards of medical care in diabetes. Diabetes Care 40: S1-S2. Sousa VD, Zauszniewski JA, Musil CM, McDonald P, Milligan SE (2004) Testing a conceptual framework for diabetes self-care management. Res Theory Nurs Pract 18: 293-316. Anderson RM, Funnell EM, Fitzgerald CJT, Marrero DG (2000) The Diabetes Empowerment Scale: a measure of psychosocial self-efficacy. Diabetes Care 23: 739-743. Funnell MM, Tang TS, Anderson RM (2007) From DSME to DSMS: Developing empowerment-based diabetes self-management support. Diabetes Spectrum 20(4): 221-226. Sigurdardottir AK, Jonsdottir H (2008) Empowerment in diabetes care: towards measuring empowerment. Scand J Caring Sci 22: 284-291. Funnell MM, Anderson RM (2004) Empowerment and self management of diabetes. Clinical Diabetes 22: 123-127. Chen MF, Wang RH, Lin KC, Hsu HY, Chen SW (2015) Efficacy of an empowerment program for Taiwanese patients with type 2 diabetes: A randomized controlled trial. Appl Nurs Res 28: 366-373. Funnell MM, Weiss MA (2009) Empowering patients with diabetes. Nursing 39: 34-37. Souza MSD, Karkada SN, Hanrahan NP, Venkatesaperumal R, Amirtharaj A (2015) Do perceptions of empowerment affect glycemic control and self-care among adults with Type 2 Diabetes? Glob J Health Sci 7: 80-90. Song Y, Song HJ, Han HR, Park SY, Nam S, et al. (2012) Unmet needs or social support and effects on diabetes self-care activities in Korean Americans with type 2 diabetes. Diabetes Educ 38: 77-85. Funnel MM, Anderson RM (2003) Patient empowerment: a look back, a look ahead. Diabetes Educ 29: 454-464. Haas L, Maryniuk M, Beck J, Cox CE, Duker P, et al. (2012) National Standards for Diabetes Self-Management Education and Support. Diabetes Care 35(11): 2393-2401. Lee YJ, Shin SJ, Wang RH, Lin KD, Lee YL, et al. (2016) Pathways of empowerment perceptions, health literacy, self-efficacy, and self care behaviors to glycemic control in patients with type 2 diabetes mellitus. Patient Educ Couns 99: 287-294. HaraY, Iwashita S, Okada A, Tajiri Y, Nakayama H, et al. (2014) Development of a novel, short, self-completed questionnaire on empowerment for patients with type 2 diabetes mellitus and an analysis of factors affecting patient empowerment. Biopsychosocial Medicine 8: 19. Tol A, Baghbanian A, Mohebbi B, Shojaeizadeh D, Azam K, et al. (2013) Empowerment assessment and influential factors among patients with type 2 diabetes. 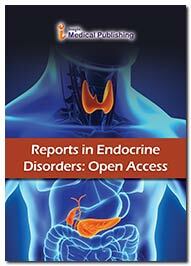 Journal of Diabetes and Metabolic Disorders 12: 6. Isaksson U, Hajdarevic S, Abramsson M, Stenvall J, Hörnsten Å (2015) Diabetes empowerment and needs for selfÃ¢ÂÂmanagement support among people with type 2 diabetes in a rural inland community in northern Sweden. Scand J Caring Sci. 29: 521-527. Arda Sürücü H, Besen Büyükkaya D (2017) Predictors of Empowerment in Individuals with Type 2 Diabetes. 1 International Health Sciences Congress, June 29-July 1, AydÃÂ±n, Turkey (Oral Presentation).